I’m at Glacier Bible Camp in Hungry Horse, Montana (just outside of Glacier National Park… an incredibly beautiful place on planet earth!) – I have the wonderful privilege of serving as Bible teacher for their Family Camp this week! And I’ve got to admit it… My mind and heart are filled with NOSTALGIA and GRATITUDE! Why, you ask? 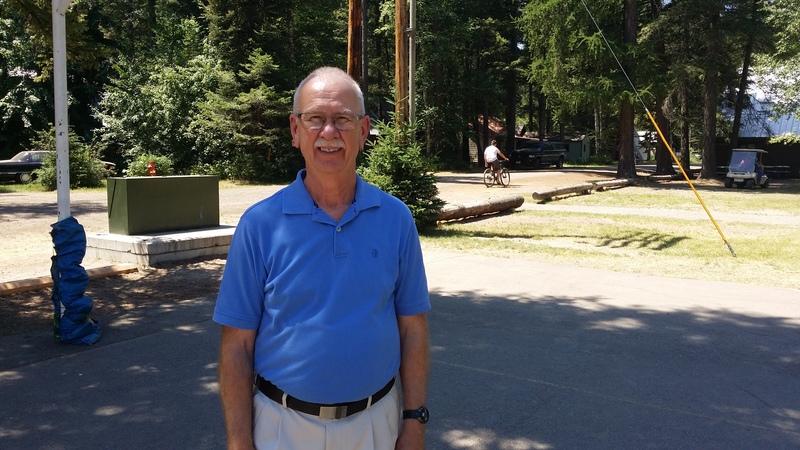 Because Glacier Bible Camp is where I received my call into the ministry 58 years ago! That was 58 years ago… This week I decided to try to find the exact spot on the campground where that Divine transaction took place. I knew where the foundation of the old tabernacle was located (there is now an outdoor basketball court there). I found the spot to the best of my ability and stood there (see the picture)… and renewed my commitment to the Lord to fulfill my calling! Oh, what a journey! Oh what that call from God has led to! Years of fruitful pastoral ministry! Serving as a professor for over 30 years at a Bible university training thousands of young men and women for Christian service all over the world! Serving the Assemblies of God, the denomination I am affiliated with, as their National Director for Christian Education and their first Commissioner on Discipleship. And to think It all began in the heart of a 10 year old child at Kid’s Kamp at Glacier Bible Camp 58 years ago! Incredible! Just let me say, I love Glacier Bible Camp … and I passionately believe in the value of the Children and Youth Camps that are held there each summer! I am the product of camping programs like that!